1. What makes a good hunter? 2. 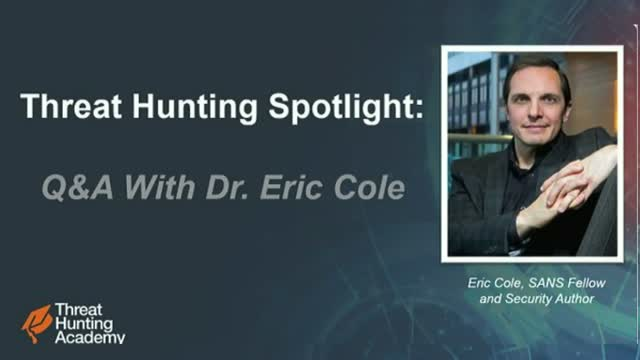 What makes a good hunt program? 3. How mature does an org need to be in order to benefit from a hunting program? 4. Why should you avoid hunting before your org is ready? 5.What's the difference between an investigation and a hunt? organizations. Jason co-wrote Applied Network Security Monitoring and maintains the open source project FlowBAT, a graphical flow data analysis tool. Jason currently works remotely for Cisco from his home in Nashville, TN. Alan Orlikoski, Security Engineer at Square Inc.
Alan Orlikoski is a Security Engineer and Incident Responder with over 17 years of experience. He analyzes and tests existing incident response plans, conducts forensic investigations and provides incident response and forensics training. Alan has an extensive computer forensics background and has been a leader in some of the largest incident response and security operations center development programs in the history of the respective companies. Target. Hunt. Disrupt advanced cyber threats. Sqrrl is the threat hunting company that enables organizations to target, hunt, and disrupt advanced cyber threats.